Emanuel Ungaro was born in Aix-en-Provence (France) and since he was a little child, learnt how to sew like his father Cosimo. At 22 years old, the designer moved to Paris where he started to design for Balenciaga brand. A few years later, he gave up and started to work for André Courrèges. In 1965, Ungaro launched his own fashion brand in Paris and in 1968 he created his first pret-a-porter collection called Parallèle. The designer launched his first perfume Diva in 1983, which was the first of a whole collection of perfumes among which we can highlight Senso, Ungaro or Emanuel Ungaro for men. 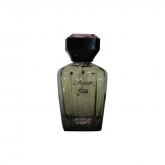 Years later, in 1996 Emanuel Ungaro partnered with Salvatore Ferragamo and together with Bvlgary, created a new brand of perfumes under the name of Emanuel Ungaro Parfums, which would be sold years later to the Pakistani magnate Asim Abdullah.